Why Hyaluronic Acid is Beneficial for Your Skin? Skin, the largest organ in our body, is resilient enough to protect us from environmental influences, but at the same time. it is incredibly delicate and requires proper care. Only with adequate care your skin can look youthful, smooth, and have that lovely glow you adore. Nowadays we have plenty of products and treatments to choose from and it’s vital to opt for those with effective ingredients. 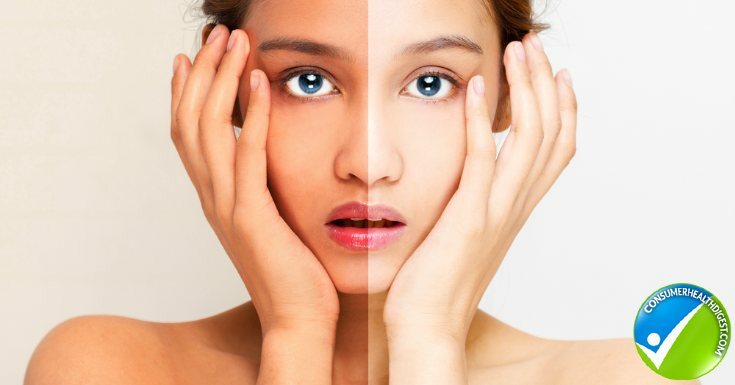 One of the most common ingredients in skincare industry is hyaluronic acid and you’re probably wondering what is it, how does it work, and whether it can really help you have younger and more vibrant appearance. You came to the right place! Throughout this article, you’re going to learn about hyaluronic acid skin benefits and how it can help you. Hyaluronic acid isn’t just an ingredient in skincare industry; it is a naturally-occurring substance in a human body. In our body, hyaluronic acid is present primarily in the skin, inside our joints, within the eye sockets, and many other tissues. Hyaluronic acid in skin works to attract and hold a vast amount of moisture and it has the ability to replenish our skin to enhance its look and feel. Hyaluronic acid that is used as a medicine, supplement, injection, or as a part of skincare products is extracted from rooster combs or it is made by bacteria in the laboratory. Hyaluronic acid has multiple purposes and people take it due to a variety of reasons including management of osteoarthritis. Nowadays, this ingredient is popular among fans of plastic surgery and it is used as a lip filler. Due to the incredible beauty and skincare potential, hyaluronic acid is also referred to as a fountain of youth. 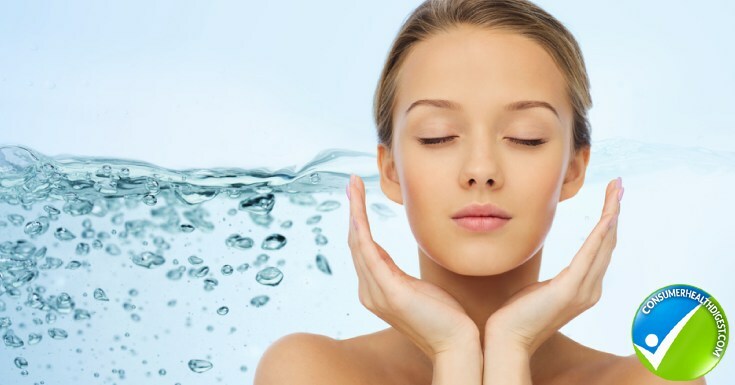 How hyaluronic acid is beneficial for your skin? The use of hyaluronic acid in skincare and beauty industry isn’t some random trend that’s going to be forgotten sooner or later. Benefits of hyaluronic acid are numerous, here’s how it works on your skin. The most well-known effect of hyaluronic acid is skin hydration. In fact, most people who use products with this substance report their skin is significantly smoother and dewier. Hyaluronic acid hydrates the dry skin by reducing water loss. This is particularly important if we bear in mind that as we age, our skin tends to lose moisture, becomes dry, rough and signs of aging appear faster. What’s more, a major reason why hormone replacement treatments make a patient’s skin more youthful is that they increase the concentration of hyaluronic acid in the skin. Dandruff, dry skin, dropping lips and eyes, and skin sagginess and all signs of aging that we notice at some point in our life. These signs of aging occur because molecules in our skin start losing their ability to bind and retain water as we’re getting older. Skin’s dryness isn’t the only consequence of this lack of water retention; it also leads to decreased skin volume. Since skin hyaluronic acid accounts for 50% of total body content of this substance, it is perfectly clear why the decline in hyaluronic acid levels contributes to aging and dryness. Skin benefits of hyaluronic acid also extend to the minimized appearance of wrinkles. 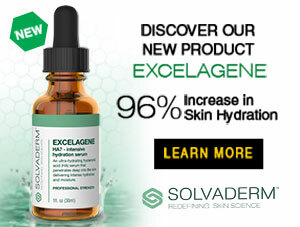 In fact, a study whose findings were published in the Journal of Drugs in Dermatology discovered that topical application of hyaluronic acid formulation led to significant improvement in skin elasticity and hydration. Moreover, the regular use of hyaluronic acid was linked to reduced wrinkle depth. Also, the Journal of Cosmetic Dermatology published an interesting study which found that products with hyaluronic acid effectively reduced the appearance of wrinkles and they decreased sagging of the skin within 30 days of regular use. Plus, some participants also reported their lips were fuller and cheeks gained more volume. For the purpose of this study, scientists enrolled 40 adult women with mild to moderate signs of aging on their facial skin. Hyaluronic acid retains and improves skin’s moisture, thus promoting synthesis of collagen and elastin fibers. All these factors are necessary for firm, elastic, and youthful skin. You can get hyaluronic acid in many anti wrinkle creams also, check out here anti wrinkle cream reviews which may help you to guide better. Hyaluronic acid skin benefits don’t revolve around anti-aging effects only. This substance can help you treat cold and mouth sores, wounds, ulcers, burns, bites, and other injuries to the skin including sunburn relief. In fact, numerous treatments for cold sores do contain a hyaluronic acid gel which accelerates the healing process and prevents bleeding and cracking. This happens because hyaluronic acid is a major part of a structural component of lips and mouth. Your lips owe their shape to hyaluronic acid and collagen. Is there any side effect of hyaluronic acid? Before you start using some skincare product or undergoing treatment, you should get informed about its safety. Generally, hyaluronic acid is considered safe when taken by mouth, applied to the skin, or adequately injected. Rare are the instances when a person experiences an allergic reaction to hyaluronic acid. Every supplement, skincare product, or procedure carries a certain risk of side effects. This doesn’t mean you’ll experience these negative effects for sure, but it’s useful to know how to recognize them. Injection of hyaluronic acid via dermal fillers is a popular procedure today and it is considered safe as well. In most cases, side effects are related to the injection itself e.g. redness or irritation of the skin where hyaluronic acid was injected. The most severe side effect of hyaluronic acid fillers is vascular occlusion, a blockage of a blood vessel usually with a clot. When it comes to supplements, they are categorized safe but potential side effects include adverse skin reactions and the risk of allergic reactions indicated by swollen face and throat, and impaired breathing. Are hyaluronic acid injections effective? As mentioned above, hyaluronic acid injections are incredibly popular nowadays among both men and women who want to look younger. However, are they effective? Facial fillers that contain hyaluronic acid work to smoothen facial contours with more success than topical products. You see, in order to be effective hyaluronic acid has to be absorbed into the skin. Injecting these fillers ensures better absorption than applying a topical product. These fillers stimulate the body’s natural production of collagen. A study whose findings were published in the Annals of Dermatology showed that hyaluronic acid injections are effective, particularly if a person also undergoes a treatment with radiofrequency device prior to the procedure. It is important to mention that hyaluronic acid doesn’t exhibit tissue or species specificity thus minimizing the risk of immunologic reactions or rejection of the filler. One thing you should know about hyaluronic acid injections is that effects are temporary, meaning you will have to get them again after some time. Hyaluronic acid is a naturally-occurring substance in a human body, it is found in your joints, eyes, skin, and other areas. Nowadays, hyaluronic acid is a well-known ingredient for youthful skin and healthy glow. Hyaluronic acid skin benefits include minimized the appearance of wrinkles and other signs of aging, as well as treatment of injuries to the skin. If you’re interested in hyaluronic acid fillers, schedule an appointment and see the dermatologist who will inform you whether it’s safe to get them or not. Considering anti-aging creams such as Miracle Skin Transformer might also be beneficial for you, hence you can read its reviews online.